42nd Street cuts across Manhattan pretty much right in the middle of the island. 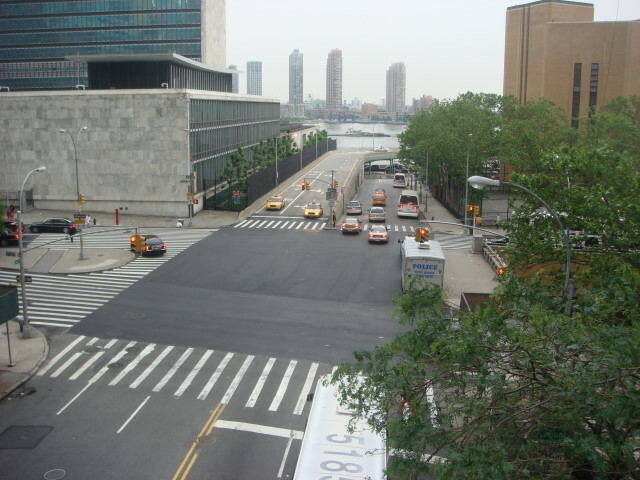 At the east side (which is what the below picture shows), the street goes right past the United Nations and then plunges into the East River as it tries to link into Queens. Okay, scratch that. 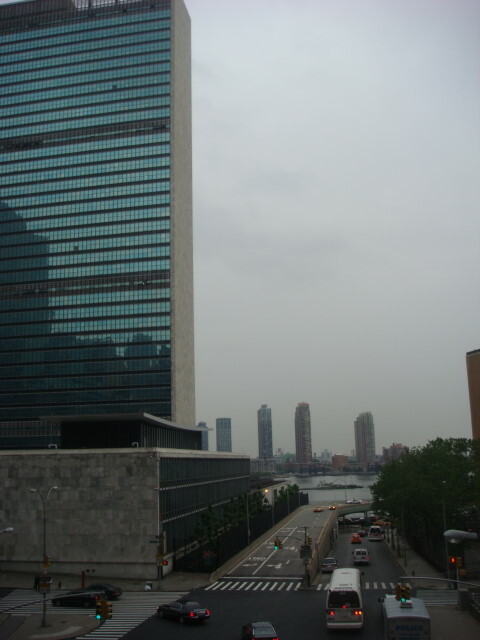 It actually merges into FDR Drive which runs north-south. I was looking at it the other day and just thought it was interesting that the street at this point is really mundane. This entry was posted on June 20, 2008 at 6:04 am and is filed under Manhattan, Mid-town. You can subscribe via RSS 2.0 feed to this post's comments. You can comment below, or link to this permanent URL from your own site. This is kind of funny — your “related posts” widget linked back to my blog but evidently it does that just by reading blog post titles. But my wife thought maybe I was secretly writing this blog — it reminded me so much of my writing! Actually when I first clicked here I thought the link had something to do with this post>, but no. You might get a kick out of my Flickr collection of New York pics, actually. We write a lot the same and take pictures a lot the same! Nice to meet you. And no, you are not me. I haven’t been having an identity crisis recently, but am nevertheless relieved to hear that I’m not someone else.